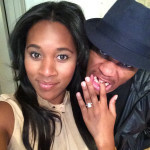 Russell Westbrook ROCKED IT for girlfriend Nina Earl Oklahoma City Thunder point guard, Russell Westbrook, proposed to his longtime girlfriend, Nina Earl. New baby for Chris and Adrienne Bosh Chris and Adrienne Bosh are the proud parents of a baby girl. 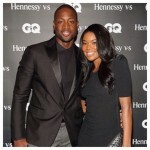 The couple announced the arrival of their little bundle Monday night, via Twitter and WhoSay. Allen Iverson retires Allen Iverson retired Wednesday. All our beloved sports heros retire, one day. Something about this one feels incomplete, though. Perhaps its because Iverson’s career has come to an end in a manner that seems open-ended. Celebrity Crime Files examines the unsolved murder of Lorenzen Wright TV One’s Celebrity Crime Files shed light on the unsolved murder case of former NBA player, Lorenzen Wright, at the request of Wright’s mother, Deborah Marion. Not even Phil Jackson could reign in Kendrick Lamar Monday night Twitter reached new heights of frenzy when rapper Big Sean unleashed a previously unreleased track titled, “Control” that also features LA’s Kendrick Lamar, and the ever-elusive Jay Electronica. Needless to say, Lamar obliterated the track and solidified his position amongst hip hop’s current elite.